IT Infrastructure Library (ITIL) is a set of rules for IT service management systems. ITIL is an internationally recognised standard. Rhein S.Q.M. offers targeted support during all phases of your company’s ITIL phases, including the definition of security objectives, guidelines, measures, processes and their implementation. In close cooperation with our clients, Rhein S.Q.M. develops a well-thought out security strategy and milestone schedule to define what steps are to be taken and when. 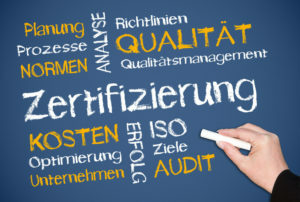 The integration of ISO 27001 can be added with very little additional effort. With the objective of identifying weaknesses in advance, and not when the damage has already been done, you will achieve maximised security by way of intelligent action plans to be implemented in case of errors, which will lead to a significant reduction of internal losses for your enterprise.